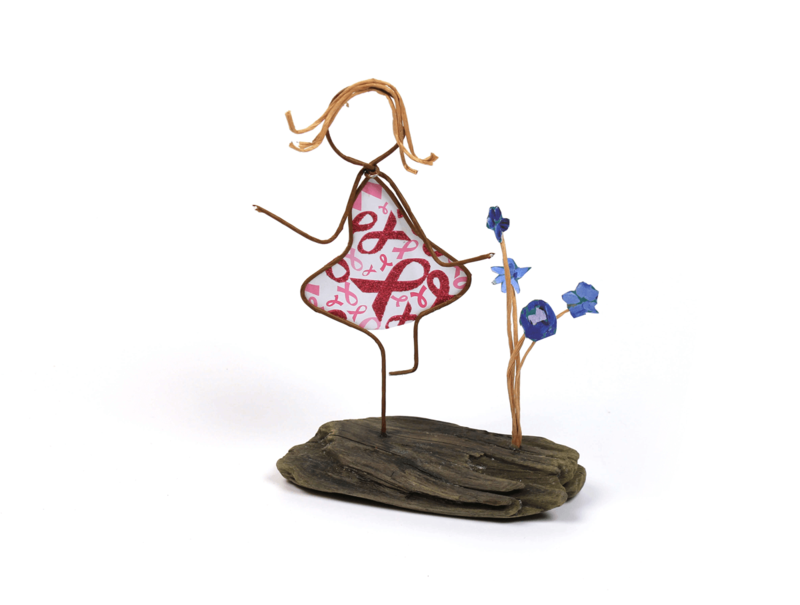 Celebrate Life, a simple, elegant sculpture in wire and cut paper on driftwood, offers two messages. The autobiographical girl recalls artist Patti Jones' childhood in the mountains of Southwest Virginia, full of flowers, love, and carefree days. The ribbons on the girl's dress, however, acknowledge the battle with breast cancer that Patti, her mother, and grandmother have endured for years.